What is it like to look at Earth from ISS? 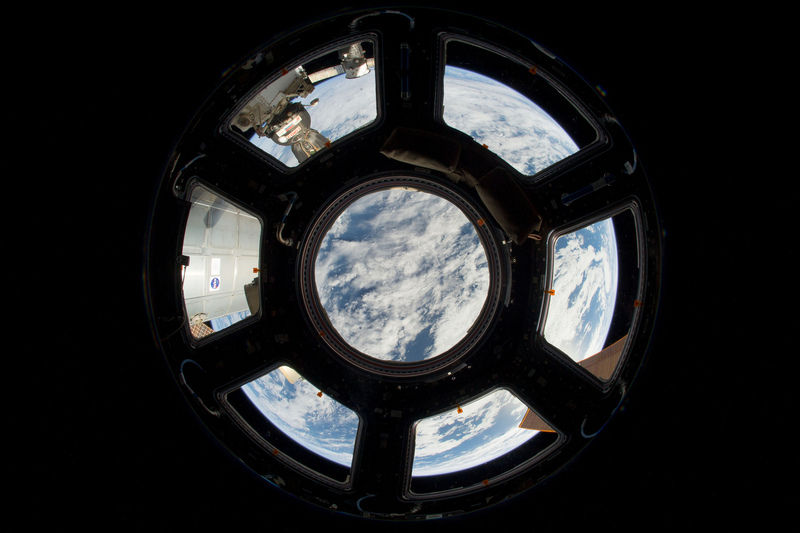 Being in orbit up here on the International Space Station makes me feel very far away from the problems on Earth. Usually, when I travel for training or other work commitments, I like to get on the Internet and keep up to date with what’s going on in the world. We can do that on the Station too, but up here I feel distant from the problems and all that negative energy that you can absorb by reading the daily news. I really feel removed. Curiously, it’s only at this distance that you realise just how far we tend to think of the Earth in terms of locations and different places — the 5 continents, different cities, the various countries just beyond our borders. But from up here, I see that we’ve invented this division. There are no boundaries in the world! From this distance, you can’t tell the height of a mountain, the depth of a valley or the immensity of a river, so the world becomes one: free from borders. The notion that there on Earth there are people fighting — killing each other and being killed — in order to be in one place rather than another, seems completely alien from here. As this is the first time I’ve had this extraordinary experience, I don’t know whether all this is just my impression or if my predecessors felt it too. But seeing the Earth as one single place, as the amazing jewel that it is, is a very real and tangible sensation. One of the most beautiful things about observing the Earth from the Station is seeing meteorological and seasonal changes ‘in real time’. 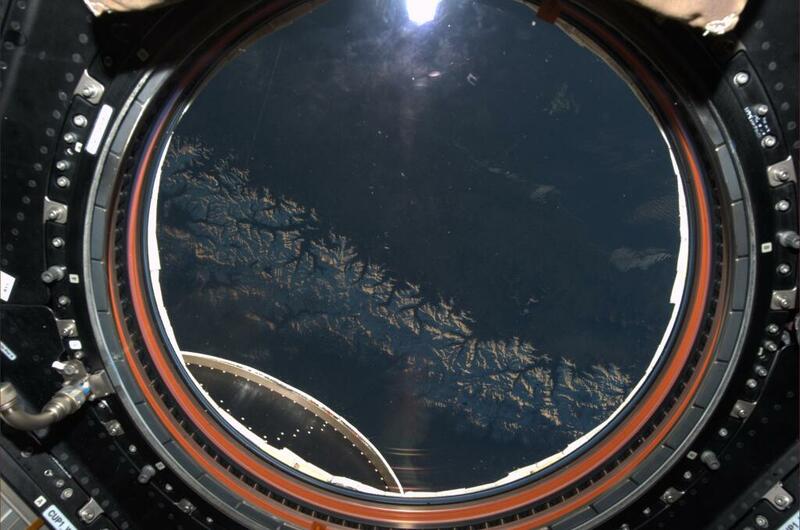 When I arrived at the ISS, it was autumn in the Southern Hemisphere and the first few times I passed over those countries I was able to see them during the day, especially during the first period when we were orbiting at a very elevated beta angle. It’s now very hard to see them because I’d have to stay awake all night to see them in daylight. For the first 4 weeks, looking south towards the Andes, the mountain ranges of South America were visible but were just dusted with snow. Little by little, as days went by, I saw winter arrive as snowfall became heavier and more frequent, gradually covering the mountain peaks. Usually, when you’re on the Earth, distance makes the changing seasons in the different continents a rather abstract idea. You’re aware of the changes taking place in the landscape that surrounds you, but here in space, I have the unique opportunity to witness all these changes as they unfold. It makes you realise that the world is one, but also very diverse and constantly changing. Mi piace molto viaggiar e portare a casa le foto dei luoghi e della persone incontrate. Sono perciò affascinato dalle tue foto! Ma ho scoperto che con le parole sapresti far vedere anche ai ciechi ciò che fotografi. Aspetto un tuo libro, che certamente scriverai. Grazie per saper condividere con noi tutto quello che fai e per “alleggerirci dalle gravità terrestri”. Wonderful thought provoking blog. I am an Irish lawyer studying Systems Thinking at Harvard Summer School and reading your tweets and bog are inspiring. molto profonde e piene di significato le tue parole. Hanno un qualcosa di realmete astratto o di astrattamente reale, che dir si voglia. Sicuramente la percezione del pallone che tuti noi chiamiamo terra è diversa, non so se migliore o peggiore, sicuramente diversa. Stai vivendo una opportunità unica, grazie per quello che comunichi a noi che non potremmo mai (?!?!?) provare queste sensazioni. Thank you Luca for taking the time to express what this unique experience is like for you. I savor every word and photo from you up there. I wish everyone down here could appreciate the significance of what you have to share. Grazie Luca per le meravigliose immagini che ci propizi di giorno in giorno. Il mondo visto dall’alto deve invogliarci a preservarlo da fonti d’inquinamento e dolose distruzioni. Il tuo elegante stile di postare le foto ti rende unico. Grazie per tutto quello che ci fai provare. Meraviglioso e poignant. Grazie per averlo condiviso, signor Parmitano. La leggiamo da qui sotto.